Mounting Details Platinum Setting With Approximately 0.25ctw of Tapered Baguette Diamonds. Diamonds are G/H in Color and VS in Clarity. 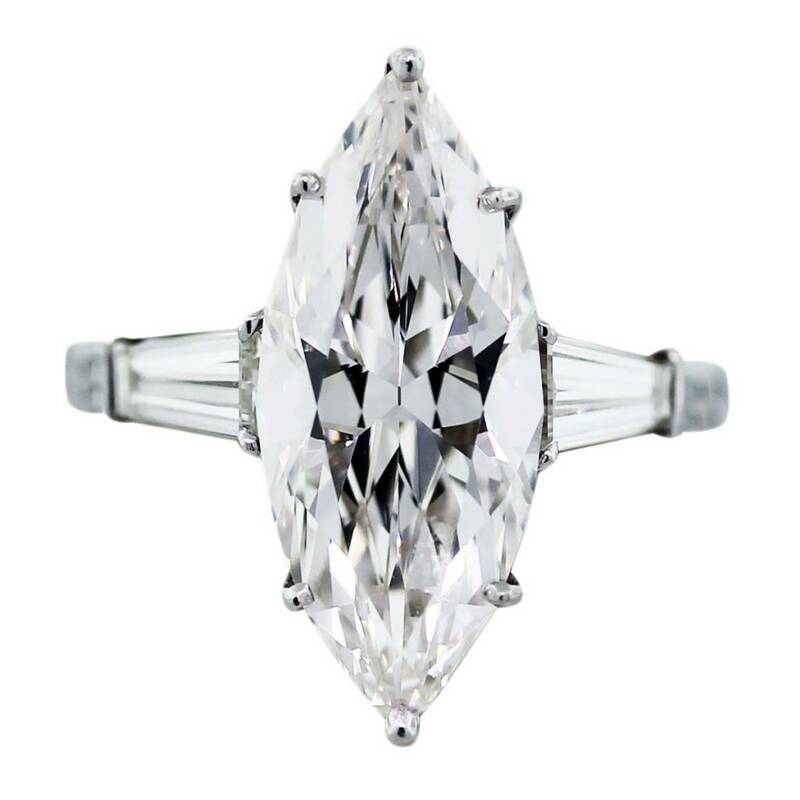 How familiar are you with the Marquise diamond cut? Get more information on our blog! Categories: Diamond Engagement Rings, Diamond Jewelry, Diamond Rings, Diamonds, Marquise Cut Engagement Rings, Platinum, Rings, with Diamonds.